Before you weave, braid, relax or color try BBD Stretch or Indigo for nourished and moisturized hair. Rediscover. Reinvigorate. Rejuvenate and Rejoice! Damaged hair does not have to be your norm. You can power your hair back to health with our BBD Stretch treatments and Indigo product lines. 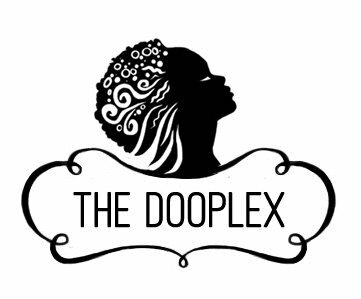 Healthy hair starts with The Dooplex. BBD Stretch Growth Creme is one of our signature products; a powerful, yet gentle leave-in and water-soluble reconstructor, made with plant based amino acid enzymes, designed to effectively repair hair breakage and strengthen your locks. Named after the man himself, "Big Bad D," has been a professional in the hair care industry for over 25 years. BBD began his career in the 1980's with Dr. Donnie Cannon at Donnie's Curls (one of the preeminent black hair care manufacturers from the 1960's), until the company was sold in the 1990′s. INDIGO is a line of premium-quality hair care products normally sold exclusively to stylists, but now available to The Dooplex customers directly. BBD Stretch and Indigo keeps hair moist and elastic, so it won't break during or after a weave or extensions, coloring or relaxing.